Choosing the right van is essential for businesses. A van needs to work hard for its living, so it is vital that you choose a van that is going to suit yours, and your business’, needs. Many vans on the market are available in a number of body-types with a variety of optional extras, allowing you to customise your van to suit your needs. However with so much choice, selecting the most appropriate van can sometimes be a difficult and time-consuming task. 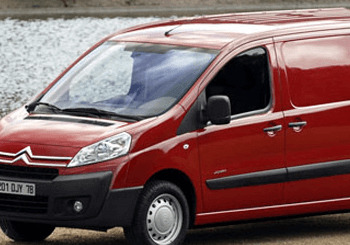 The first thing you need to consider when choosing a van is what your van will normally be used for. · What is the size/weight of the typical load? · Does it need controlled temperature? · Are you carrying specialist tools or equipment? · What kind of security is needed? · How will the load be accessed, for example will you need side doors or a tail-lift? · Will the van need to carry one or more passengers? Panel vans are the most common and versatile type of van. These vans are defined by their flat, enclosed load bay. Luton bodies and box vans are suitable for those needing to carry more bulky item as they are generally wider than panel vans. Flatbeds or pick-ups are ideal if you don’t need the security or weather protection of a panel or box van; they have the advantages of being light, cheap and flexible. Double cabs are capable of carrying more than two or three occupants and they have extended cabins to allow for an extra row of seats. It is important that you take into account, not only the initial cost of the vehicle, but the running costs. Typically, larger, heavier vans will not provide as many miles per gallon but they may be necessary for your business. Panel vans offer a lowered floor around the rear doors or sliding side doors, while extra steps can be added to bumpers or side sills. At Howards we have a range of Nissan, Toyota, Peugeot, Honda, Citroen and Hyundai vans available. Our knowledgeable staff will be more than happy to listen to your van requirements and talk you through your options. Our Citroen Taunton dealership is a specialist business centre, in which you can come down to the dealership, discuss your requirements and our team will help you find the best vehicle for your business.